Teresa Lewis is an intuitive consultant here in Brisbane. 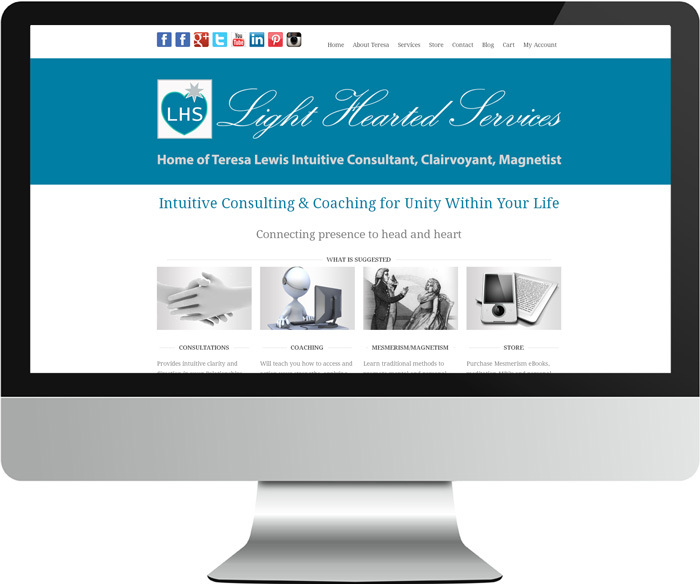 For her website Light Hearted Services, we tried to keep everything very simple and clean. It has an online store utilising Drupal's Ubercart - which handles the eBooks and MP3s that she sells. There is also a newsletter subscription service which allows her to send emails to her clients with automatic unsubscribe and subscribe options.